Join our inspiring cast of 3D Superheroes! What do the people in the video below have in common? These are our most valuable resources, and yet the ones most overlooked and squandered. 1. Get on a meaningless, low paying Abusement Park ride to nowhere, be dehumanized and then eventually disposed of. 2. 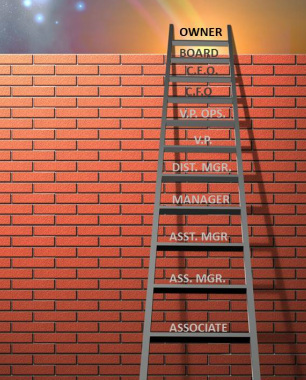 Climb onto a corporate ladder, and then quickly realize you are really climbing down into a hole of debt, instead of climbing up on a mountain of opportunity and prosperity. Splash City is about getting off the wall! Today, many businesses have adopted a policy over people mantra. The almighty bottom line is paramount. people are treated as liabilities on a spread sheet. Where is the future in that? while hoping for a break someday? Here at Splash City Studios, we've created another option. Start your journey by checking out the video below. Design a lifestyle and live your dream! Make new friends and extra money! for people with vision and pioneering spirit, rather than discourage or destroy it. if we cultivated vision and spirit. and see a different point of view. to actually listen to others instead of instantly judging them? What would we feel if we opened our hearts to joy instead of fear? The greatest investment we can make today is in our own will. We must relate to our world and interact with it, not just react to it. and anything else outside themselves. quite simply we invest in ourselves! and to untangle the web of convolution in our society and in our minds. It's just your imagination. Happiness is over there... someday. How-to world of mediocrity instead of a y2 world of wonder. we need to bust these outdated and useless myths. At Splash City Studios, we've created a fun and innovative way to do just that. As a Splasher, you will become part of a movement of modern day myth busters! why not skip the dehumanizing, one sided hiring process and have some fun. which ultimately changes our world for the better. The greatest risk here at Splash City Studios is to do nothing with your vision. Let's face it, you're either part of the problem, or part of the solution. So why not do something meaningful and become part of the solution. It all starts at home. By having a party! Have we captivated your imagination?! Great! Then fill out an Application for Enjoyment here!